With around 40 years behind Flexcraft in Asbury Park, NJ, the family-owned plastic molding company felt the time had come to update their branding and web presence. M studio’s rebranding services presented the client with an attractive, contemporary update to their branding, underlining the progression of their business and the company’s credibility in the industry. 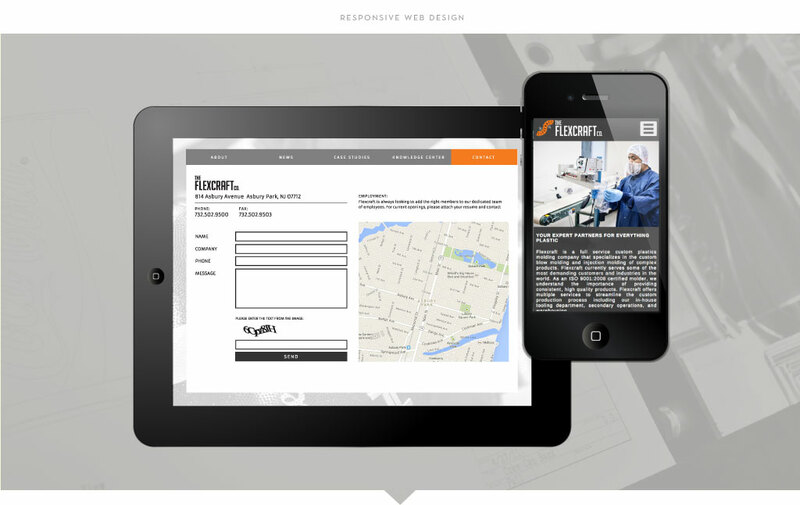 Flexcraft also sought M studio’s web design service in order to better present their services to their online audience. The modern aesthetic of this fully mobile responsive website highlights Flexcraft’s cutting-edge capabilities, while photographs taken by M studio showcase the range of services offered.